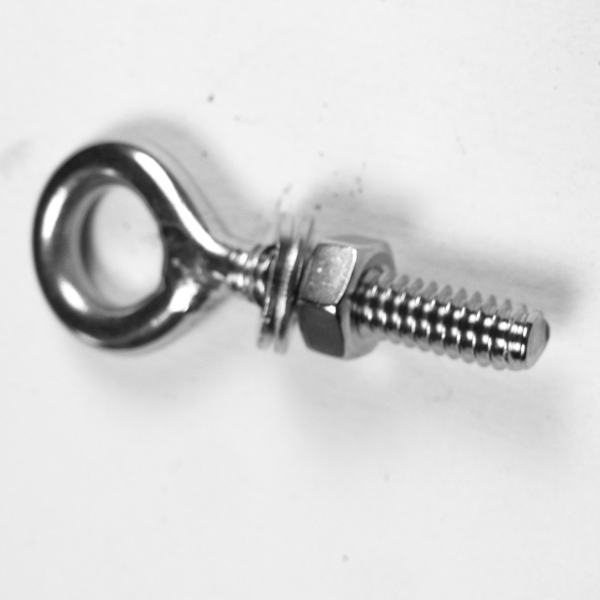 The uses for this eye bolt are pretty much self explanatory to those of us who would have any interest in them to start with. Again, the advantage of stainless steel is in terms of its longevity in harsh environments and applications where rust is not desired. One comment of possible value; stainless steel is a metal of choice in red wood constructions. If we recall correctly, the chemical tannic acid in redwood causes standard steels to bleed and discolor the redwood. 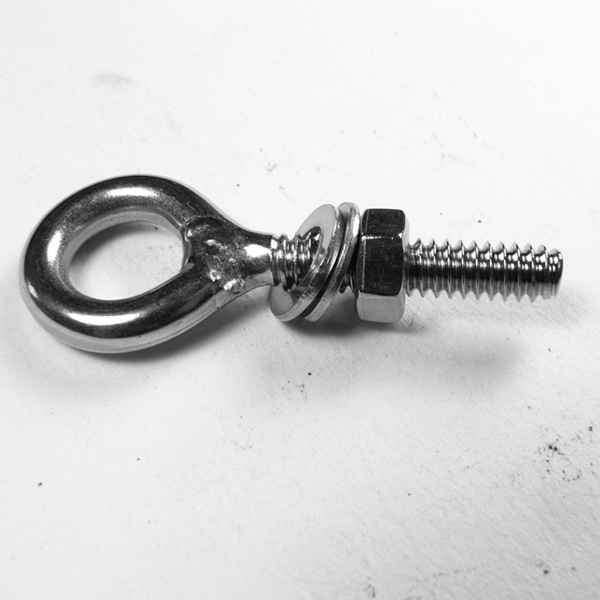 Swings, benches, arbors, decks and railings are ideal candidates for the stainless hardware offered by Berkeley Point. 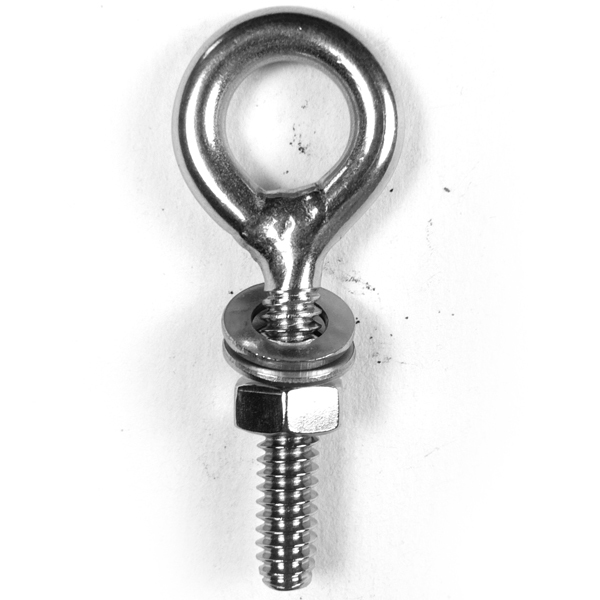 See also: UnWelded Eye Bolt s, Shoulder Eye Bolts, and Metric Welded Eye Bolt s, and Heavy Duty Eye Bolts.